A: Absolutely. Our products are all EPA approved, “green” products. Q: What should I do to prepare my home for Pure Air Solutions? A: The home will need to be vacant of pets and family members during our treatment process, everything else in the home can stay. Q: Do I need to take everything out of my house? Like wall art, electronics or plants? A: Our patented Dry Fog Technology allows all of your personal items to stay in the home without getting wet. Mold spores get trapped inside fabrics, furniture and clothing so all of these things need to be treated as well. Q: Do I need to put food away? A: The treatment process is safe for food, but putting food away will save its freshness. Q: Does it kill bugs? A: They certainly don't like it and we have seen a lot of scenarios where it has, but it is not an EPA registered pesticide. Q: Will the treatment get behind walls? A: Any place that a mold spore can get in and find moisture our fog treatment will penetrate those areas. In some cases where we know there has been an issue behind a wall, we can poke a few 1/8 inch holes in the wall make sure our treatment penetrates behind the wall. Q: How long does the treatment take and when can I return to my home. A: Our technicians will inform you of the time necessary on their arrival. On average our treatment requires an hour per 1,000 sq ft. A normal size home can be started in the morning and be finished by lunch. You will be able to return to your home that afternoon. There will be a different smell when you reenter your home, this smell will dissipate quickly. Q: Will I need to clean everything afterwards? A: Not at all. It leaves no residue so your home and all your belongings will be as clean as they were when they were brand new. Q: It sounds way to good to be true, what guarantee do you provide? A: Our treatment has been proven time and again and our products are all EPA approved. At the end of our treatment we will do an air quality test, as part of the initial cost, that will give you documentation that your homes air is pure. Also, with our Everpure treatment we give a 90 day guarantee that no microbial growth will occur. We further guarantee that your home will remain mold free for one year as long as you have no more water intrusions. Our main goal is to provide healthy pure air for your home and family. Every customer of ours matters and we will be happy to resolve any issues if they arise. A: If all moisture and water issues are resolved, this is a very permanent solution. With minor water issues like humidity or condensation on windows, we have tested it out about 6 years and have not been able to get mold growth because of the EverPURE antimicrobial protectant. With major water issues you will only get about 90 days of protection. 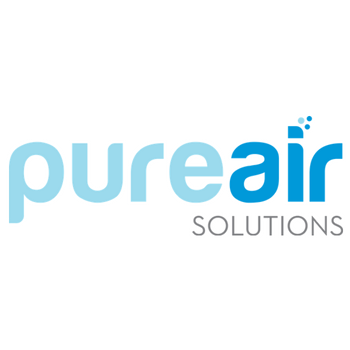 Q: Can I get a quote from Pure Air Solutions? A: Our technicians will be more than happy to come to your home and help you find a solution to any air quality issues you may be having and give you a fair honest quote. Q: Cant I just use bleach to get rid of mold? Q: What will the mold look like after the treatment? A: The stains that the mold has created will not go away but we can clean them for you at a small additional cost. If you want, you can do that yourself after the treatment and everything will be perfectly safe to handle at that point.